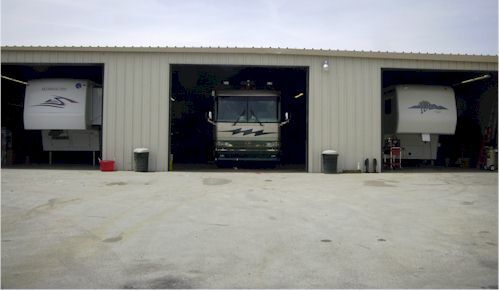 Our 3 big service bays allow us to service even the biggest of Recreational vehicles. We not only perform regular service; we also do yearly maintenance. If you just purchased a used RV or plan on purchasing one, we can do a complete safety inspection before you buy. We also perform warrantee work and extended warrantee’s for Forrest River,Fleetwood, Damon, Hi-LO, Dometic, Carefree, Norcold, Attwood, Suburban, Onan, and many others. We also do hitch work, electrical, appliance repairs & installation of after market products, etc. Your TV not Digital ? Have us install a new flat screen.